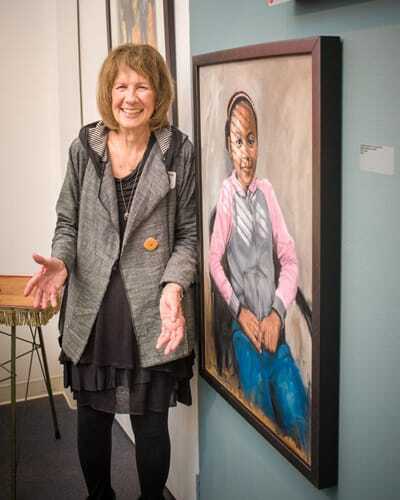 The only nonprofit art gallery in the Village of Chagrin Falls welcomes thousands of guests and presents hundreds of regional artists in five gallery exhibitions every year. 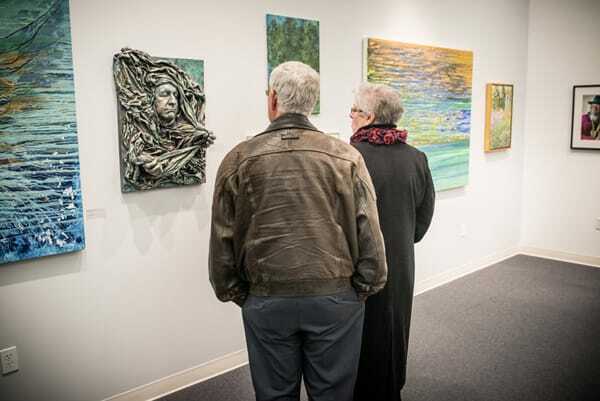 Many national and international artists also exhibit in our professional gallery space, our new hallway gallery and our acclaimed Art by the Falls outdoor art festival. 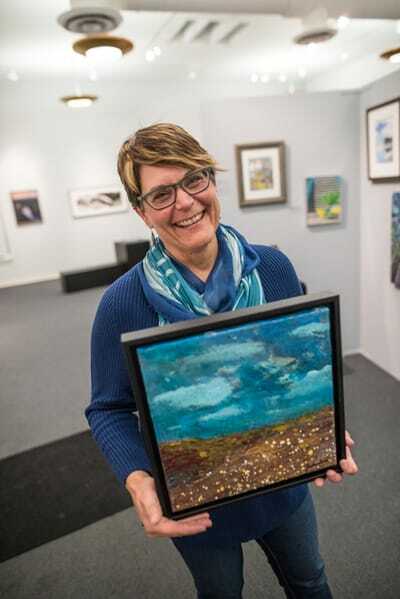 In a broad range of media and styles—from traditional to experimental—novice, emerging, and seasoned artists share artistic expression with art lovers and collectors of Northeast Ohio. 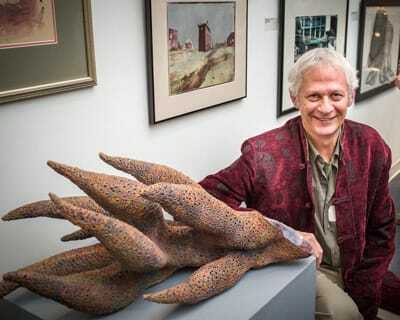 VAC exhibits are a great source of fine art for collectors and art lovers. All of the art on the gallery walls is for sale and purchasing art from our gallery helps support artists and Valley Art Center. Select a piece from our current exhibit when you visit and take an exceptional work of art home or to your office. Groups are always welcome to visit our gallery! If you schedule a tour, VAC can provide a staff to guide your group through the exhibit and answer questions. Hands-on interpretive projects are available through our educational program for a fee. Contact VAC for more information. Most of our art shows are open to fine artists nearby and around the world. Learn how to answer a VAC call to entry and exhibit your art in our gallery. When you see the names and logos of our sponsors on our postcards and banners, you know that every art exhibit at Valley Art Center receives support from local businesses or individuals. Sponsoring an art exhibit is a great way to show that you are contributing to the arts in our community. Put your company name on our exhibition publicity today, and help the Valley Art Center keep great art on the walls in Chagrin Falls! Contact VAC today to find out how. Thank you to our many dedicated volunteers! We couldn't do it without our tireless and enthusiastic volunteers. Every exhibition involves several dozen volunteers who program and design the show, create and edit print materials, register artwork, install the art pieces, and staff the opening reception. Volunteer today and "Hang with VAC!" Be an important part of mounting a first-class art exhibition.